Mereside Children’s Centre unveiled their brand new early years play zone on 10th May 2017, thanks to a £40,000 investment by Blackpool Better Start. The new play zone will provide children with a safe outdoor area, and was commissioned following community consultations with local parents. 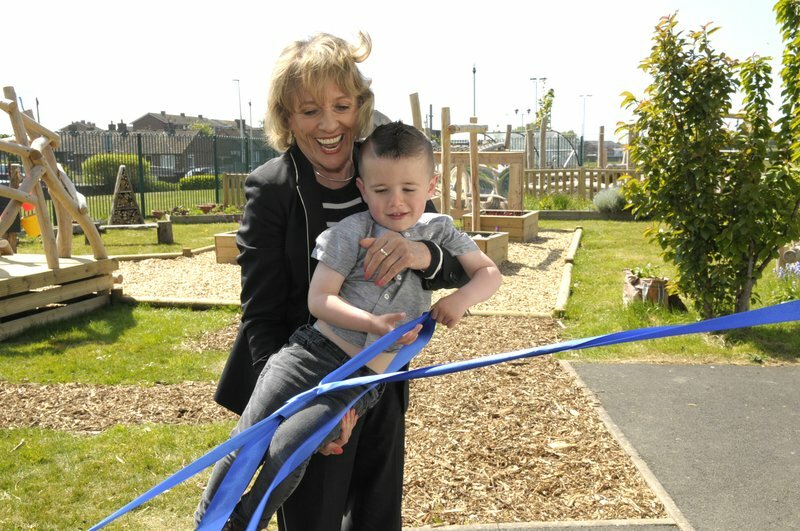 Blackpool’s newest outdoor play space was officially opened by VIT (Very Important Toddler) Rocco Everett, and NSPCC Trustee, Esther Rantzen. Rocco won a competition to name the park, and his suggestion of ‘Little Diggers’ has earned him the honour of officially cutting the ribbon at the grand opening. Blackpool Better Start is investing £1.6 million into parks and open spaces across Blackpool after local parents identified the need for more safe places to play during community consultations. Studies show that the environment used for play is important and has different cognitive, social and motor developmental impacts on children. 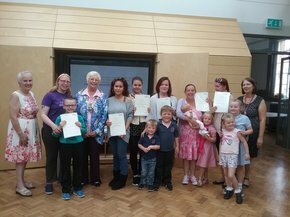 The work has been undertaken by Blackpool Council on behalf of the Better Start partnership. 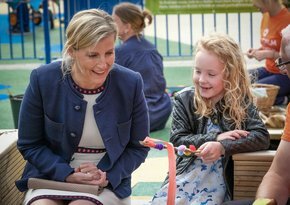 Merle Davies, Director of the Centre for Early Child Development, said: “We’re delighted to be opening the new play zone at Mereside, and we hope that local families enjoy this fabulous new resource and benefit from the facilities. 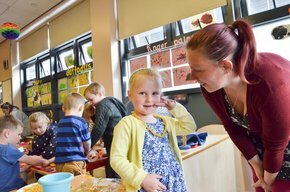 Diane Booth, Director of Children’s Services at Blackpool Council, added: “This investment in our children’s centres from Better Start is vital to helping children develop socially and emotionally as they grow up. Blackpool Gazette reported the visit, and quotes from parents and pictures from the day can be found here. Check out the Parent Forums at your Local Children's Centre!